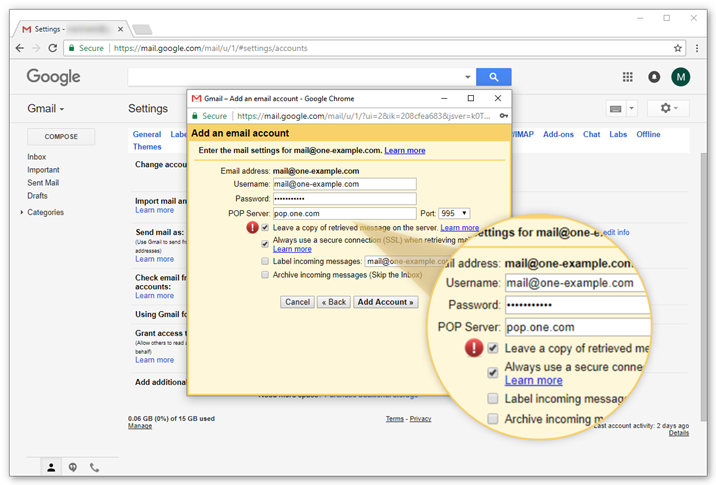 In this guide we show you how you can set up your email account in Gmail with POP3. 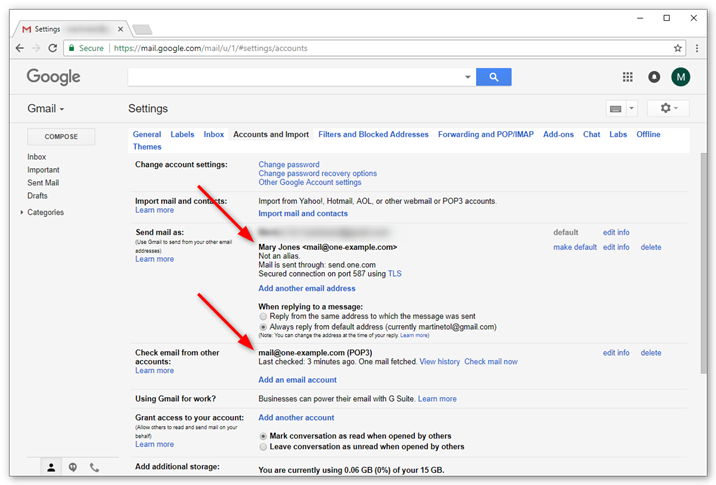 Gmail only allows you to set up your email with POP and not IMAP. This means that your email only gets downloaded, it doesn't get synced back to the server. Gmail only downloads emails from your Inbox. Emails in other folders, like Send and Drafts are not downloaded. 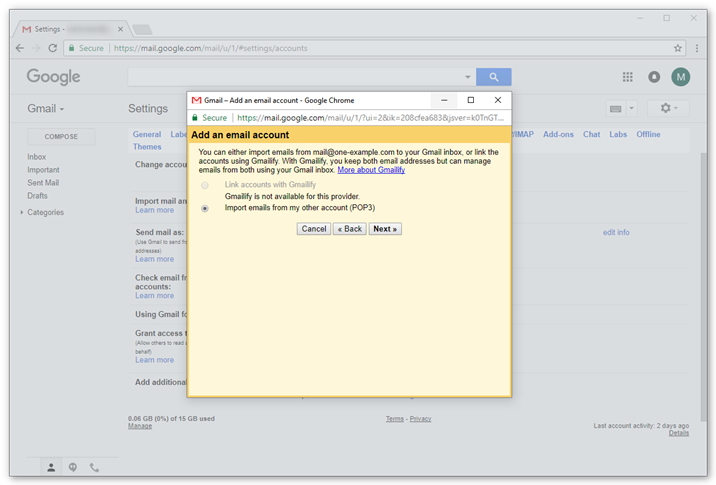 By default, Gmail downloads the emails and then removes them from the server. We recommend that you check the option to leave a copy of the email on the server. That way you can still access your emails in Webmail. Click Accounts and Import in the menu at the top. Click Add an email account. 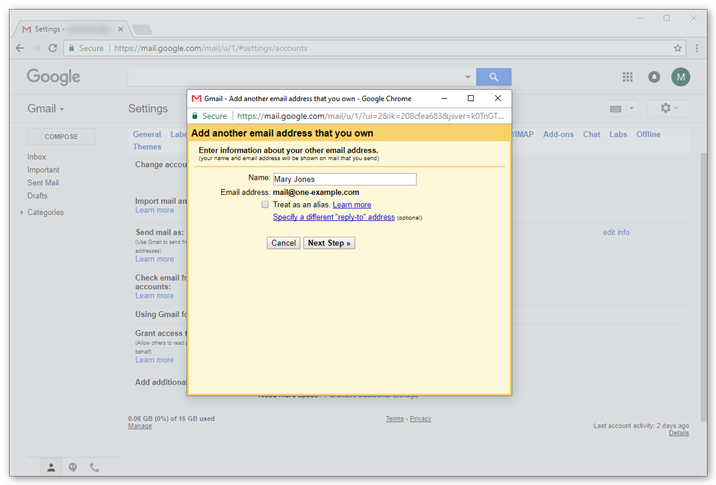 Type in the email address you want to set up in Gmail. For some accounts it's possible to link an account to a service called Gmailify. This is not possible for your email account hosted with One.com. Select "Import emails from my other...". Check the option to leave a copy on the server (Recommended). Check the option the use SSL. Click Add account to continue. 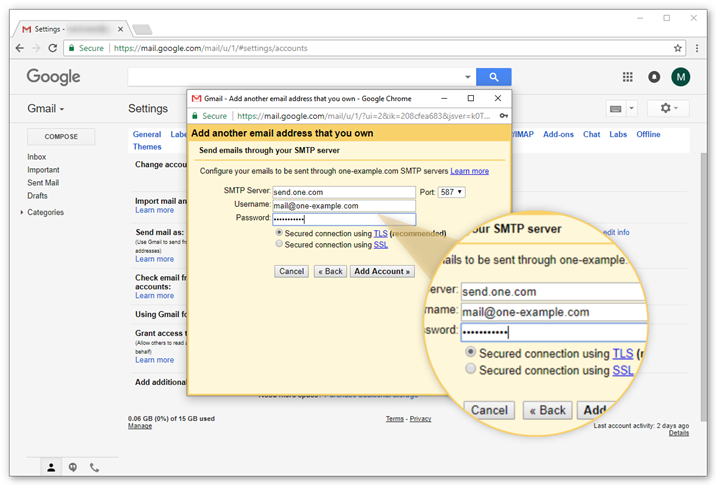 Tip: We recommend you to check the option to leave a copy of your emails on the server. That way you can still access your emails in Webmail. 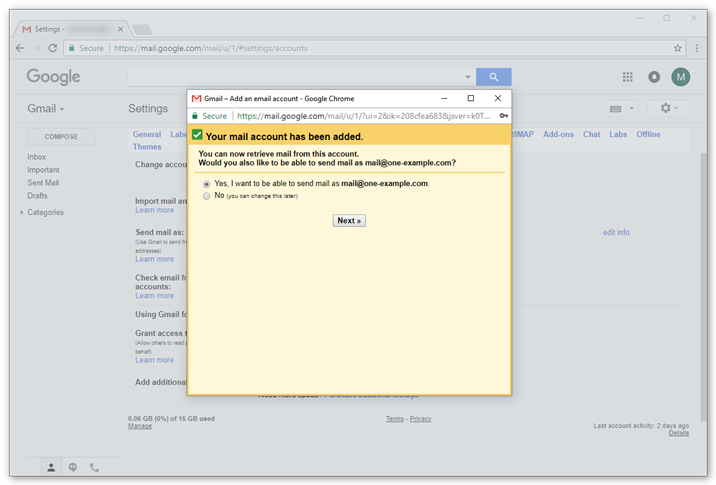 You can now receive emails from your email account in Gmail. 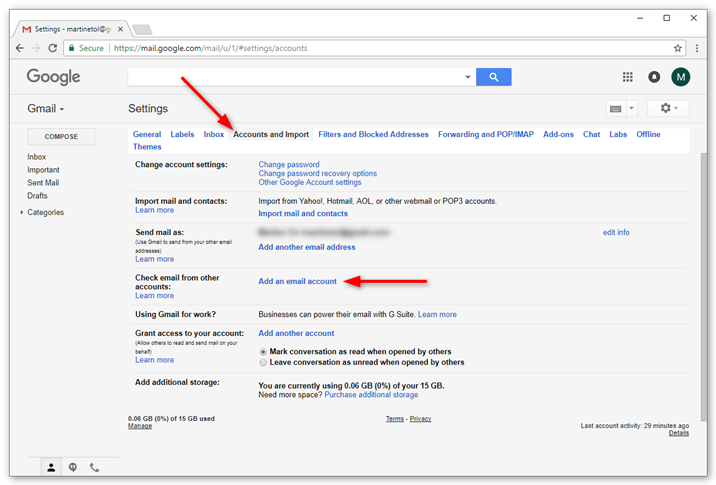 The next step is to set up the outgoing settings, so that you can also send emails from your account. Select "Yes, I want to be able to send..."
Enter the sender name you want to be visible to your recipients. 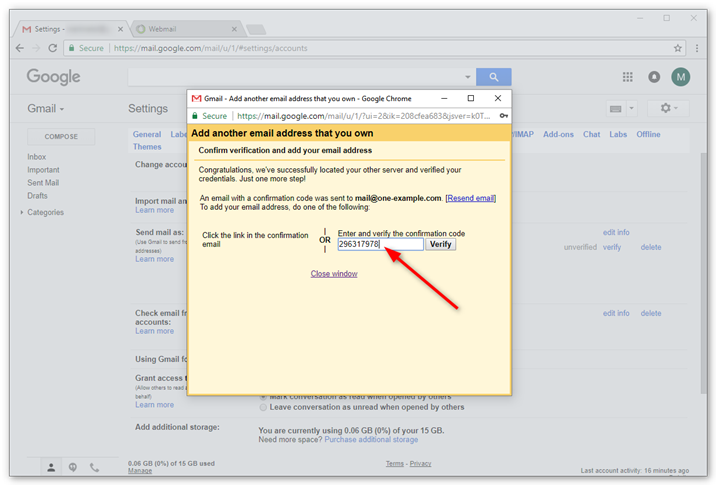 Tip: If your Gmail address is your primary address, and your other email address is only for recieving, you might want to check the box for "Treat as an alias". 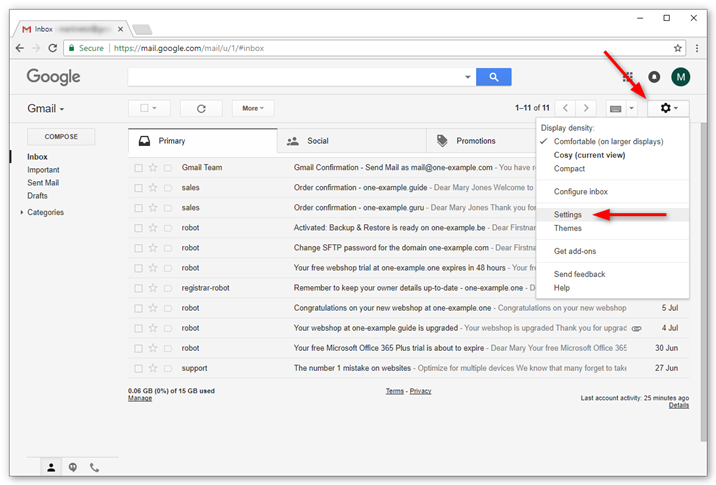 Gmail will now send you an email with a confirmation code. 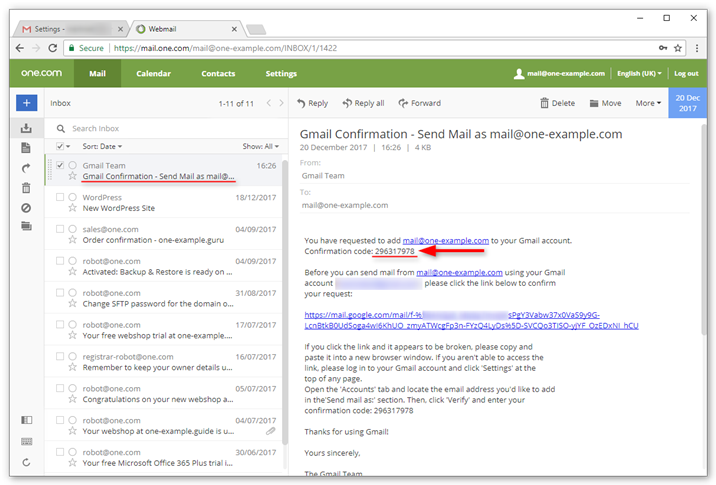 Open the email "Gmail Confirmation - Send mail as..."
Copy the confirmation code in the email. Paste the verification code in the field and click Verify. Your account is now set up. 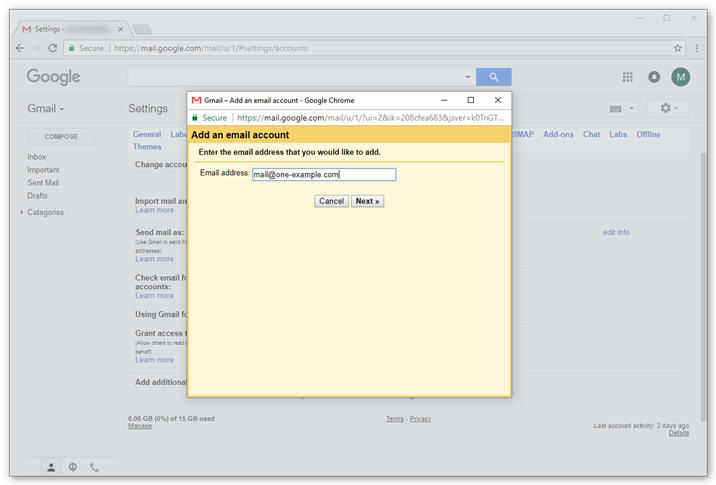 You can both send and receive email in Gmail. Check your settings to make sure it's set up according to your preferences.